Dating back more than 1,300 years, Ripon claims to be England’s oldest city. Whether or not this is true, you can’t deny the weight of its historical wonders. Ripon Cathedral is an Early English masterpiece concealing the remains of an 7th-century Anglo-Saxon basilica in its crypt. Fountains Abbey, three miles outside the city is the largest monastic ruin in the country. The vestiges of the abbey church and abbot’s house are a UNESCO World Heritage site, along with the magnificent Studley Royal Park that took shape after the abbey was suppressed. 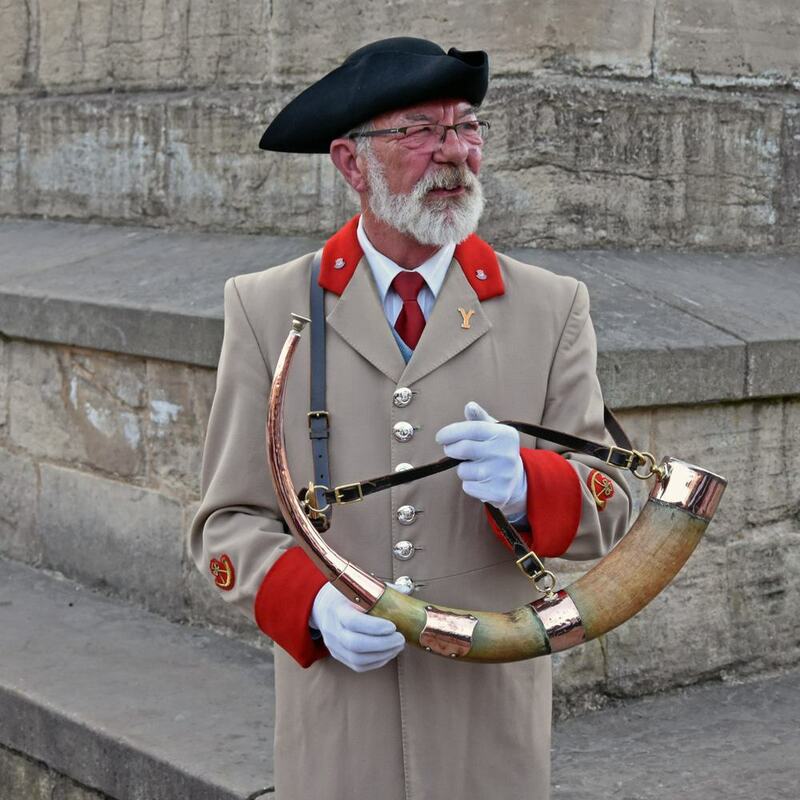 Every night on Ripon’s Market Place the city’s hornblower sounds his watch, in a custom dating to 886. 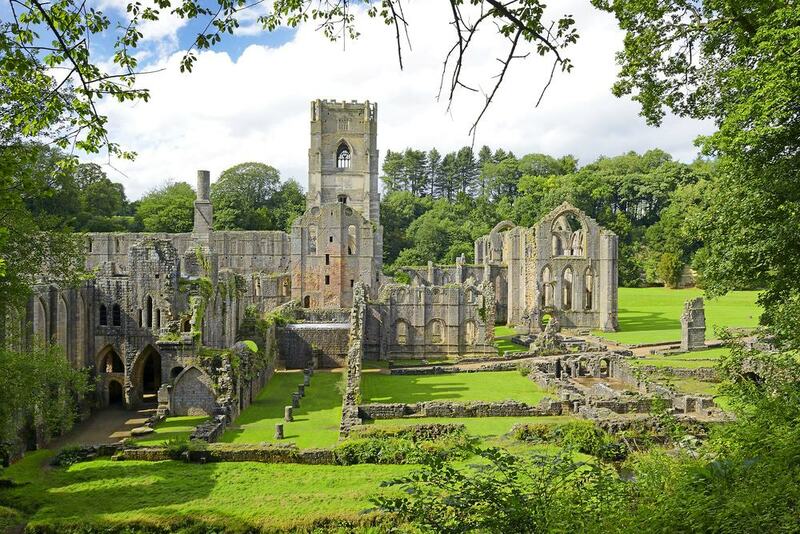 In a UNESCO World Heritage Site, Fountains Abbey is England’s best preserved Cistercian monastery. The abbey has been a ruin since the Dissolution of the Monasteries by Henry VIII in the 16th century, but 500 years of decay have done nothing to diminish its majesty. Constructed in 1132, Fountains Abbey grew to become one of the country’s wealthiest monasteries, enriched by lead mining, stone quarrying, animal rearing and wool production. The abbey precinct covered 70 acres, and you can delve into its history at the Porter’s Lodge exhibition, in a contemporary building within the original gatehouse. Among the ruins you can investigate big pieces of the abbey church and cloisters, as well as the vestiges of what used to be one of the largest abbot’s houses in England. The great hall alone was more than 50 metres long. Give yourself as long as possible to experience this 800-acre World Heritage Site. 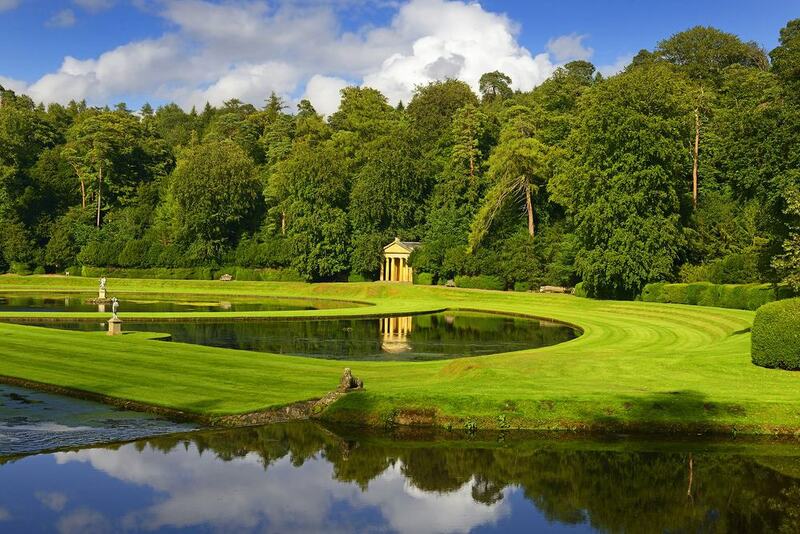 Along with the abbey, the next must-see feature is the Studley Royal Water Garden. This was in the grounds of Studley Royal House, which burnt down in 1946. The water garden was ordered by the politician John Aislabie at the start of the 18th century and was then enhanced by his son, William. Take in the stunning ornamental lake, canals, cascades, all sprinkled with whimsical follies like a Gothic Revival castle, Doric temple and a banqueting house in the Palladian style. Sika, fallow and red deer roam the park, and there’s lots of other interesting monuments to seek out. Fountains Mill was built by the Cistercians in the 12th century and amazingly was in use up to 1927. The late Victorian St Mary’s Church was commissioned by the First Marquess of Ripon and commands romantic views of Ripon Cathedral. 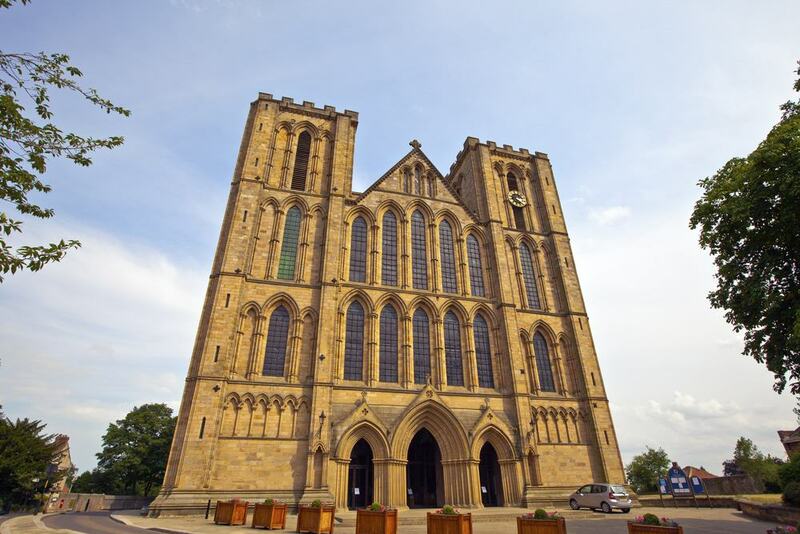 The west front of Ripon Cathedral is hailed as one of the outstanding works of Early English Gothic architecture. 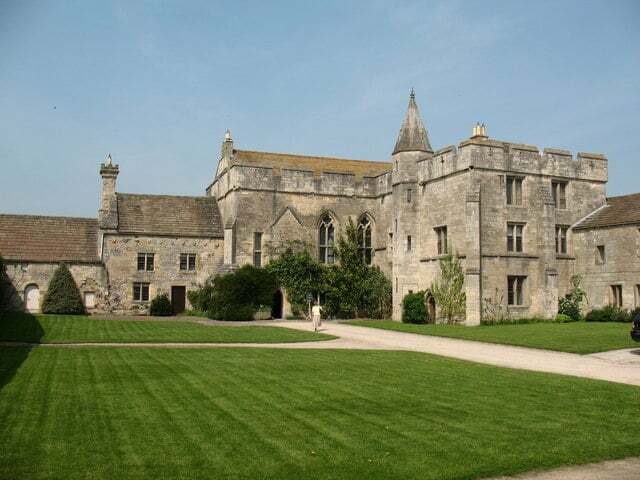 This was completed in 1220 and has understated rows of lancet windows framed by slender columns and archivolts. The cathedral is the fourth church to have stood on this site, and what’s exciting is that a piece of the first church from the 7th century can be discovered in the crypt. The choir was rebuilt at the end of the 13th century and has a sensational geometric east window in the Decorated Gothic Style. Lewis Carroll was a canon at Ripon Cathedral in the mid-19th century. Take a look at the 35 late-15th-century misericords in the choir, which are thought to have inspired characters from Alice’s Adventures in Wonderland. 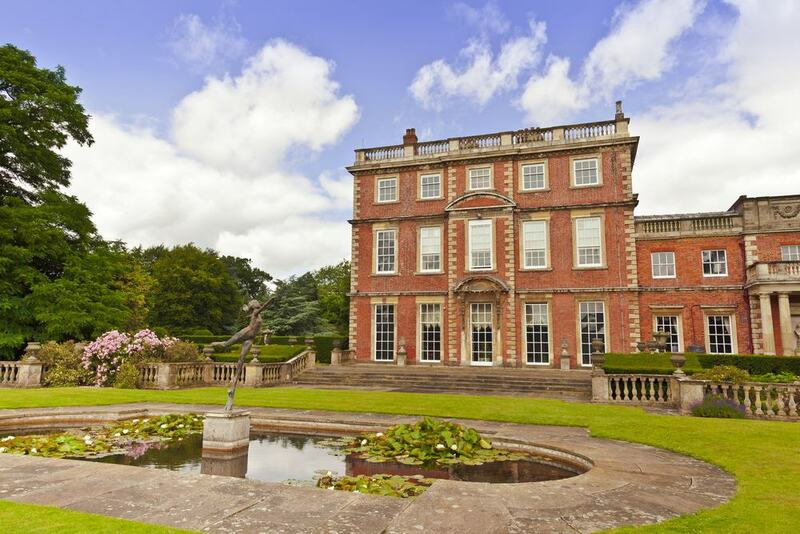 One of England’s most celebrated architects, Sir Christopher Wren, was involved in the design of this late-17th-century country house next to the River Ure. Later, in the 18th century, Robert Adam helped remodel the interiors. There are Sicilian marble floors, masterful stucco panels, mahogany doors, Corinthian columns, Renaissance paintings, alabaster urns and Gobelins tapestries. The greatest furniture designer of the 18th century, Thomas Chippendale produced hall chairs, dining chairs and Pembroke tables for the house. In the Tapestry Room, the chairs are covered with Gobelins tapestry fabric and belong to the only Chippendale suite to have their original coverings and their original setting. Outside are 25 acres of award-winning gardens, mostly designed in the 1920s. These are divided into lots of enchanting little spaces like a double herbaceous border, water garden, rose garden, national cornus collection, tropical garden, woodland garden and two rock gardens, to name just a few. 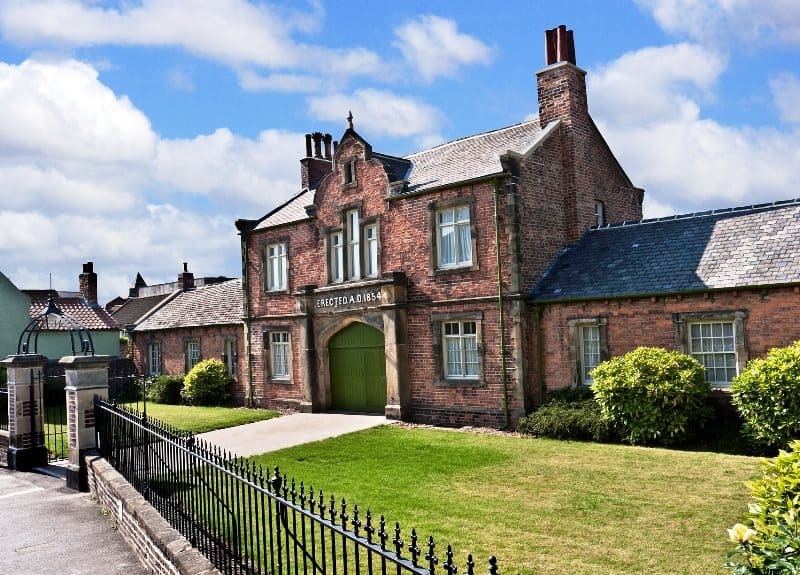 A monument to a much harsher time, Ripon’s Victorian Workhouse is now a museum. This is where Ripon’s destitute ended up, to become a source of cheap labour in exchange for food and shelter. This building dates to 1855 and was a self-contained community with a chaplain, teacher, infirmary, laundry and kitchen gardens. You’ll visit the cells where inmates slept and find out what they ate and experience the jobs they did to earn a meagre wage. The kitchen gardens are maintained by volunteers and even grow produce for local restaurants. The museum’s guides are in period costume and will talk you through the workhouse’s manual trades like oakum picking and rag rugging. The centre of Ripon since the start of the 13th century, the Market Place is fronted by rows of historic houses, some half-timbered. On the south side is the Palladian Town Hall, raised in 1719 and housing the tourist information centre. 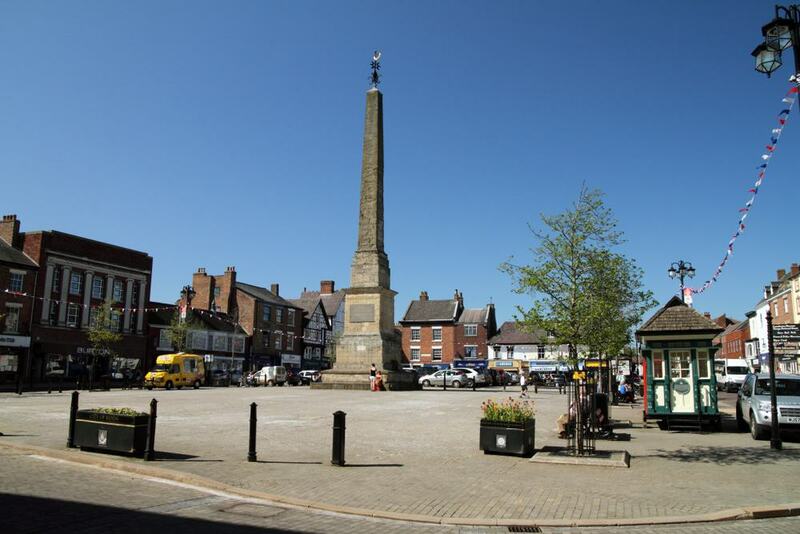 Even older is the obelisk or market cross at the centre, which went up in 1702 and is the UK’s earliest free-standing obelisk. The Ripon Hornblower sets his watch at this monument, and we’ll talk about this in more detail below. The Market Place is filled with the sights, sounds and scents of Ripon Market every Thursday, selling fruit, vegetables, confectionery, cheese, fresh baked bread, pastries, flowers, fabrics and a lot more besides. After Fountains abbey was suppressed, the nobleman Stephen Proctor bought the estate and commissioned an elegant mansion. Dating from the turn of the 17th century Fountains Hall is a classic late Elizabethan prodigy house, designed to convey wealth and power. Proctor recycled sandstone blocks from the Abbey, as well a whole spiral staircase, but had new limestone carved for the ashlar dressings. The National Trust has informational panels inside, where you’ll learn about the hall’s eventful past, in which it has been a stately home courthouse and even a dwelling for a farmer. Fountains Hall is hired out for weddings, and offers accommodation if you’ve ever felt like sleeping in a Tudor stately home. 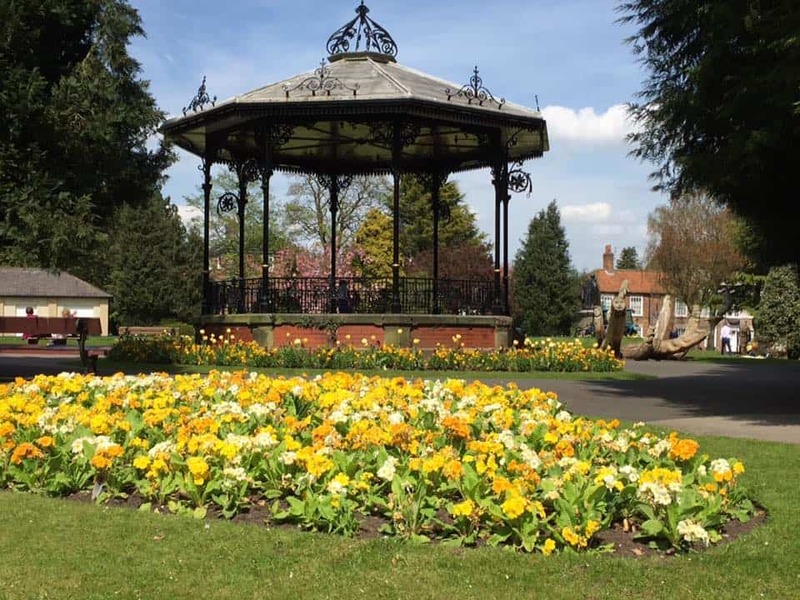 A genteel Victorian park in the centre of the city, Ripon Spa Gardens is a regular Green Flag winner for its amenities and super level of maintenance. The park has dainty flowerbeds, topiaries and exotic trees, all centred on a beautiful Victorian bandstand. Concerts take place here every Sunday, and a few metres away is a solemn statue of the Liberal politician George Frederick Samuel, the Marquess of Ripon. A lovely new touch to the park is a series of wood sculptures of characters from Alice’s Adventures in Wonderland. These were carved in 2011, marking Lewis Carroll’s formative years at Ripon Cathedral. This complex at St Marygate dates back to the end of the 17th century when the House of Correction for Vagrants was founded. 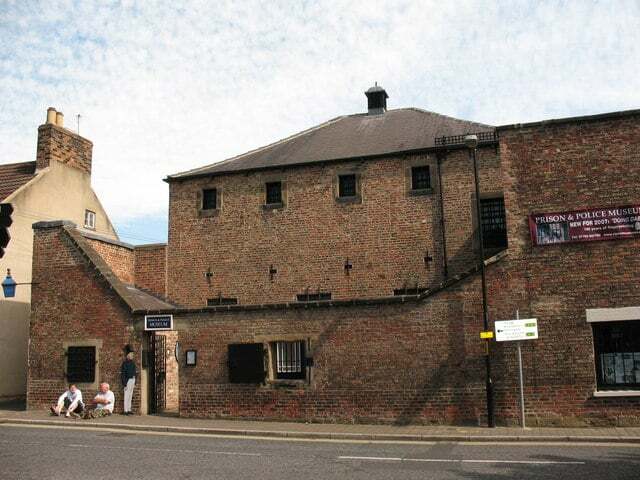 In 1816 the Liberty Prison was built on the site and this construction was converted into Ripon Police Station, which finally closed in 1956. The museum recounts the history of policing in Yorkshire, from Anglo-Saxon times to the foundation of a professional police force in 1829. Kids can try on police gear and prisoners’ outfits, and you can get a taste of Victorian-style hard labour, climbing a treadmill, shot drilling and winding a crank. You’ll also be locked in a cell (just for a moment!) and be introduced to some scary methods of punishment like a restraint chair and pillory. 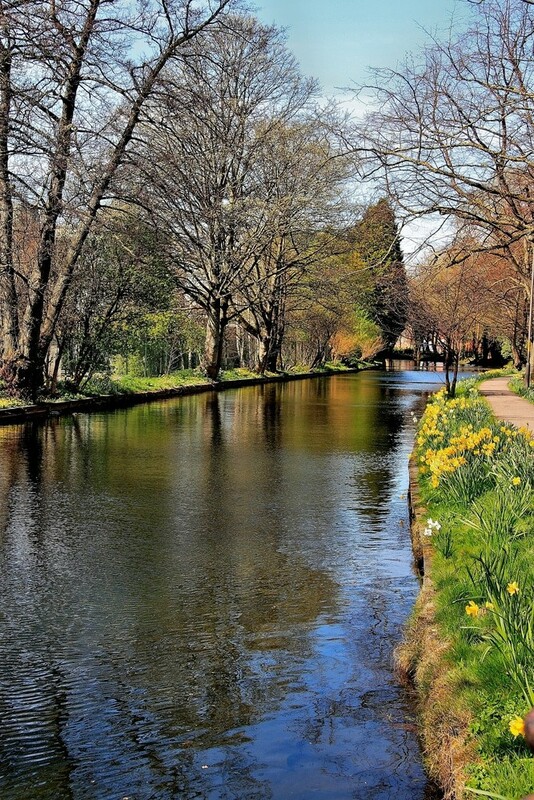 Beginning at a very picturesque old wharf in the southeast of the city, the Ripon Canal is a relaxing green corridor 2.3 miles long down to the navigable River Ure. The canal was completed in the early 1770s, shipping coal into Ripon and lead out of the city, before falling into decline after the railways took over in the middle of the 19th century. The people of Ripon intervened after the canal was abandoned in 1956, and by the 1990s it was fully restored. There’s a continuous footpath, edged by wildflowers and 18th-century locks, and passing next to a wetland bird sanctuary by Ripon Racecourse. As of 2018 the canal has earned the coveted Green Flag. This theme park 10 minutes from the town centre has thrill rides, children’s play areas and animal attractions, and will appeal as much to teenagers as toddlers. The headline at Lightwater Valley is The Ultimate, which at 2,268 metres is the longest steel rollercoaster in Europe and the second-longest in the world. The ride has two lift hills climbing above 30 metres for panoramas of the park and countryside before ripping through forest. Also here for thrill-seekers is the wild Eagle’s Claw giant swing ride. Younger members of the clan can explore eight different themed play areas, most of which have opened in the last five years, while there are lighter rollercoasters, a splash ride, teacups, narrow gauge railway and adventure golf for all-comers. Also at Lightwater Valley is the Eagle’s Creek Farm, with pygmy goats, Shetland ponies and donkeys, and a birds of prey centre for demonstrations and bird handling. 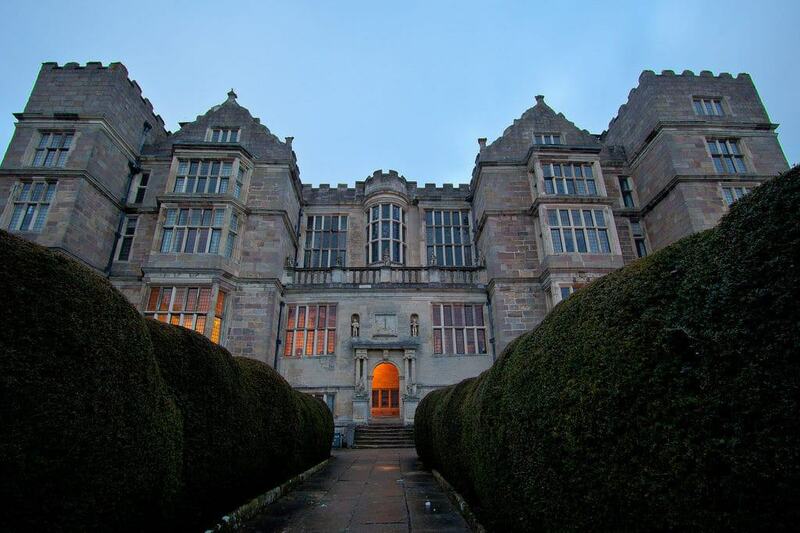 For years this spellbinding Gothic manor house was closed to visitors, but now opens on 30 afternoons a year and also offers pre-arranged tours. Hidden from the A61 along a mile-long lane, Markenfield Hall is protected by a square moat home to two black swans. The Grade I-listed manor house is mostly 14th-century, but has some later elements like a striking 16th-century Tudor gatehouse, also Grade I. On open days there are stewards in all of the rooms to field any questions. You’ll see the vaulted Gothic undercroft/kitchen, before heading up to the great hall, chapel and the four poster bedroom. In the early 19th century the scholar and wealthy landowner William Danby built a tribute to Stonehenge on his estate in the lower Wensleydale Hills. Now on Forestry Commission land, and a favourite picnicking spot, the Druids’ Temple is a folly constructed with cheap local labour in an scheme to alleviate unemployment. The monument is wrapped in fern-bedded woodland, and is interesting in the way it represents a Georgian’s idea of Neolithic history. 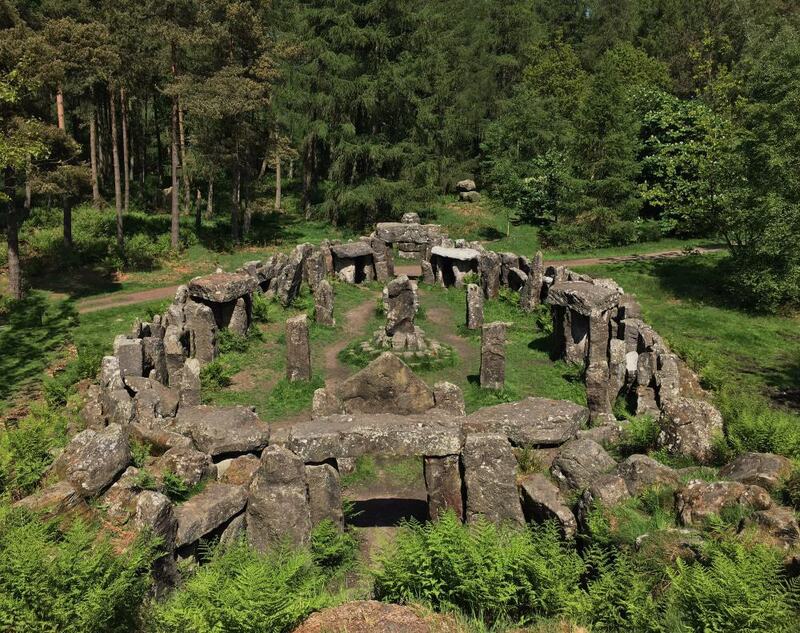 And even though the purpose of the Druids’ Temple is well-known, stories of devil-worship and secret rituals have spread over the last 200 years. Ripon is on a 170-mile coast-to-coast cycle route, from Morecambe on the Irish Sea to Bridlington on the North Sea. The signposted trail mostly avoids main roads, instead using quiet lanes, disused railway tracks and also designated cycle paths. The Way of the Roses is solely within the counties of Lancashire and Yorkshire, and so takes its name from the 15th-century war between the House of Lancaster and the House of York. Ripon is a convenient starting point for a ride. 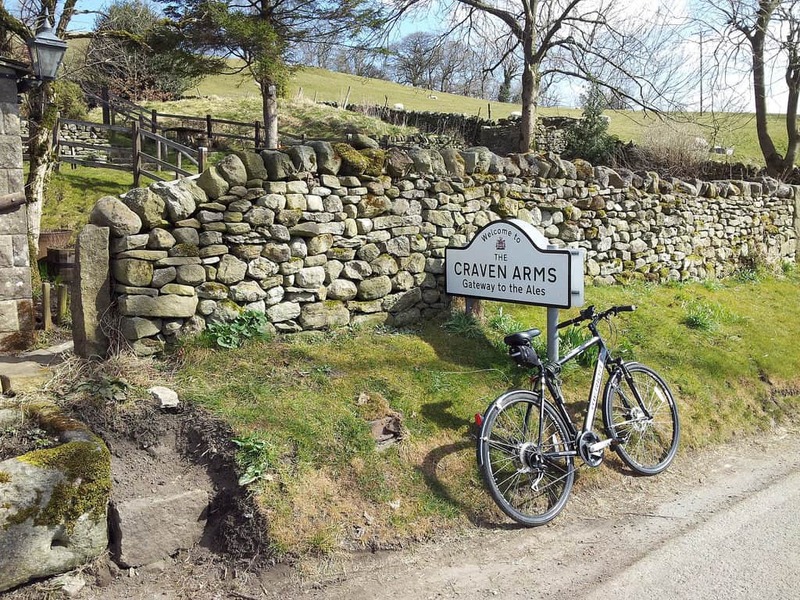 If you want testing climbs and distant views you can go west into the Nidderdale Area of Outstanding Natural Beauty. East of Ripon the going is mostly flat and well-suited to families. One of England’s oldest ceremonies, the setting of the watch has taken place in Ripon since 886, during the reign of Alfred the Great. At this time the Anglo-Saxons were at war with the Vikings. King Alfred had just taken back London and was touring the country trying to rouse support. Upon arriving in Ripon he advised the small settlement to be more vigilant, so they appointed a “wakeman”, someone who would keep watch through the night. At 9pm, this hornblower, wearing ceremonial garb, sounds his watch on the four corners of the market cross in a ritual dating back well over a millennium.